1. Biotechnology and DNA technology, specializing in start up web/branding development, site deployment, emarketing, promotion, webinars, and rich technical content including online streaming media. Let us help you tell your story to your customers, clients and investors. 2. 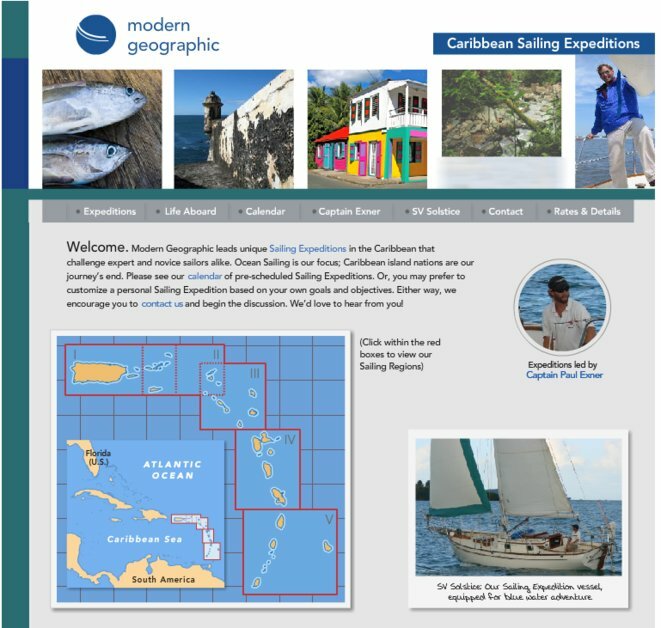 Sailing & Travel - An almost accidental emphasis area that meshes with our interest in sailing and the Caribbean. As sailors with extensive travel experience in the Caribbean, we can help get the sails hoisted for your travel, vacation rental, or ecotourism web presence - with fewer mixed metaphors too. See www.estaterose.com www.sembabio.com for recent example projects. Flash & HTML website with custom cartography, rollover map functionality, and customized Flash contact forms with php scripted email, data logging. Clean design objectives, timely completion, within budget.